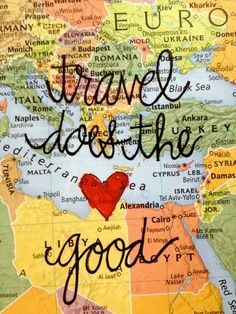 My love for traveling started when I begin working overseas. I do not remember going out of town or out of the country that much before when I was still working in the Philippines. Maybe I'm too preoccupied with work or maybe that time, I am too busy looking after my kids. Sometimes, I'm thinking that should I've known the joys and fulfillment brought about by visiting various destinations earlier, perhaps, I should have visited more interesting places in the Philippines and abroad. Now, I realized that traveling is more of discovering oneself. It opens our eyes to the many faces of the world we live in. You get to discover other cultures and this enables you to have more appreciation of your culture back home. When I say traveling, I do not only pertain to visiting theme parks and shopping malls, I'm more to trips of cultural significance. Traveling allows you to embrace new culture, experience a different kind of adventure, get out of your comfort zone even for a while, taste other local cuisines, discover people and see all the beautiful places around the globe. Traveling may even allow you to learn new languages, appreciate other people's way of life, admire the beauty of nature, meet some interesting people and widen your business opportunities. I love traveling! It feels like a whole new person- smarter, braver and the experience is something that can't be taken away from you.